Western governments stayed silent on the U.K. polonium murder of a Putin critic. Here’s one more way U.S. intelligence on Russia may not be up to snuff. Many would like President Obama to repay Russian hacking by releasing secret details of Vladimir Putin’s stolen wealth, estimated at up to $160 billion. They may be disappointed to learn the data don’t exist. The idea of weakening Mr. Putin by laying out his secrets is a good one. We proposed it here three years ago. But even then, when the U.S. Treasury announced sanctions on Mr. Putin’s “personal bank” after his Crimea grab, it was quoting the 10-year-old allegation of one of Mr. Putin’s domestic opponents. Treasury revealed nothing you couldn’t find from Google. The extreme murkiness of who owns what, and for how long, under Putin sufferance is illustrated by the financial coup with which he ended 2016. To relieve a strained Russian budget and show the country’s appeal to Western investors, his underlings arranged a partial privatization of state-owned oil giant Rosneft. Yet the Italian bank supposedly financing the purchase admitted it was still mulling whether to participate. So where the money came from and who might end up owning many of the shares is about as clear as mud. Still, critics are not wrong to suspect Mr. Putin is sensitive to corruption allegations. Nobody predicted the Arab Spring, the Ukrainian revolution, the fall of Gadhafi, etc. Mr. Putin cannot be certain when a public eruption might sweep him from his throne. Igor Sechin, the Rosneft chief and Mr. Putin’s No. 1 ally, has been flinging lawsuits in all directions to suppress Russian media reports about his mansions and yachts. A billion-dollar palace on the Black Sea, allegedly built for Mr. Putin with diverted hospital funds, has been shrouded in murky transactions. Reportedly the property is now owned by a friendly businessman who paid many times its market value. At least the CIA ought to have complete files on Mr. Putin’s early days when Russia’s media culture was wide open and free-wheeling. His alleged involvement in the disappearance of $93 million in food money as deputy mayor of St. Petersburg was documented by a special committee of the city’s elected legislature. Ditto the 1999 apartment block bombings that killed 293 Russians and helped cinch his election as president. Even before the attacks, reputable European and Russian newspapers in Moscow reported that such outrages were being planned by Russia’s secret police. Several subsequent scholarly and journalistic studies have endorsed the view that these “terrorist” acts were actually engineered by Mr. Putin’s supporters. U.S. intelligence agencies surely have definitive estimates on both of these episodes. The CIA may also be able to tell us more than we already know about many convenient murders and suspicious deaths that greased Mr. Putin’s rise and protected him from inopportune disclosures. OK, let us stop kidding ourselves. Let Rep. Adam Schiff, a top Democrat calling for exposure of Putin secrets, stop kidding himself. Western governments have kept silent even on the polonium murder in London of dissident Alexander Litvinenko, an act of international nuclear terrorism. Why? Because they are unwilling to press hard on the Putin regime, fearing either blowback or his replacement by the devil they don’t know. Mr. Obama’s sanctions have been precisely calibrated with these fears in mind, and Donald Trump brings only so much room for change. Rest your mind: Nothing in “The Art of the Deal” suggests Mr. Trump would voluntarily surrender the leverage Mr. Obama’s existing sanctions give him in future dealings with Mr. Putin. 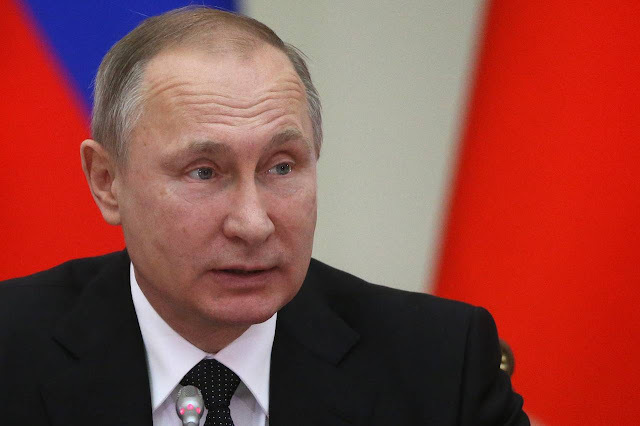 At the same time, he will stop accommodating Mr. Putin by supplying loud but weak rhetoric that Mr. Putin can play back to the Russian people as evidence the U.S. represents a geostrategic threat that Mr. Putin is manfully and victoriously outwitting. The best and likeliest outcome if Mr. Trump is successful is that Mr. Putin will stop being an international problem in the run-up to his own re-election in 2018 and a year or so thereafter. Mr. Trump will be freer to concentrate on domestic reform and reacting to whatever emergencies the European Union inevitably throws up in the new year. This holiday will be temporary. Mr. Putin, who has no realistic hope for a peaceful retirement, and whose society and economy are rotting out from under him, is almost certain to be a bane for the world and Russia in the coming decade.